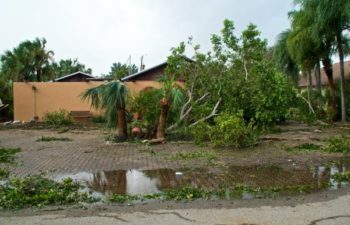 Although there are many benefits to living in the great state of Florida, there is one huge downside-storm & hurricane warnings, which lead to property damage. Property damage may come in many forms-Fire, Flood, Hurricane Damage, Storm Damage, Negligent Building Structure Practices etc. and as an insured policy holder, you are eligible for reimbursement based on your policy structure. Unfortunately, as we all know, this isn’t always the case and filing a claim while dealing with your insurance company can be a lengthy, drawn-out process. Many times, your claim may be denied and if it is accepted you may not receive the appropriate payout. Here at Ligori & Sanders, our team of experience attorneys is here to help you through this frustrating process. We know that the difference between receiving your claim or not can mean having shelter for your family or not. Therefore we handle every case with care, as though it was our own, and offer free consultations. Don’t let the insurance companies take advantage of you during an already difficult time. If you believe that you are not being treated appropriately by your provider then it is time to contact us for legal representation.